Frenetic Arts presents the Poetry Lime and Open Mic Session. 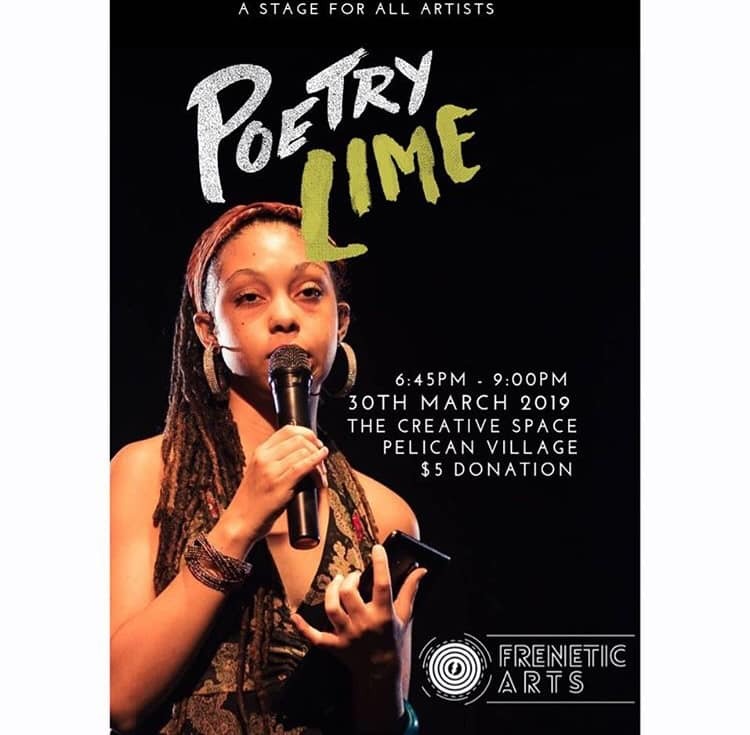 Poetry Lime is the spot for young artist to showcase their talent. If you are looking for a night of fun, good vibes and some positive feedback - an intimate space, you just found the place to be. Food will be on sale & contributions are welcome. If you wish to perform, please message their Facebook page https://www.facebook.com/frenticarts246/ with your name to be RSVPed.